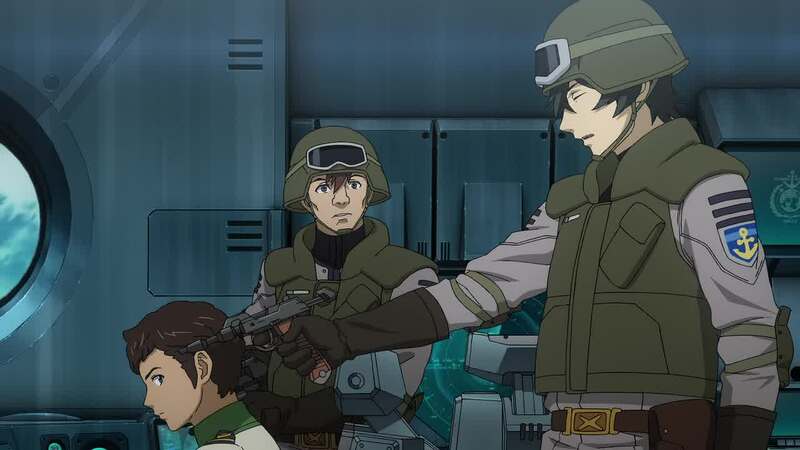 Well, many things happened as Yamato and its crew continues its journey. From my latest post, the crew took Matilda hostage. Her being inside the ship divides the ship into to factions, leading to some internal conflict inside. Fortunately, Akira who was unable to accept Matilda finally has a truce with her, making her one of the few people who accepted Matilda first. That’s not the end though. 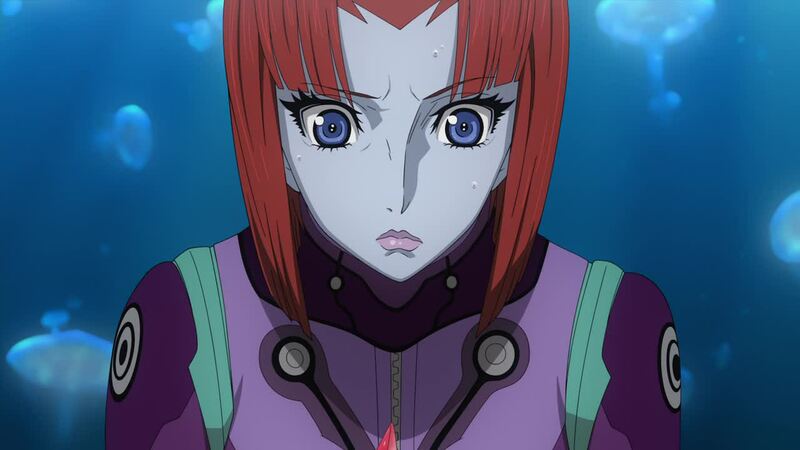 Matilda claimed that it was the Earth who attacked, stirring more trouble and uncomfortable whispers inside Yamato. Many don’t believe it, but alas, that is the truth. It was the earth who attacked first, leading to the death of Shima’s beloved father who had the first contact with the aliens.This hurts Shima deeply, because all this time, he believed that the aliens were at fault for causing his father death. This conflict even almost jeopardize his friendship with Kodai. But really, what is right and what is wrong? In this world full of conflicts, many do things others considered as “wrong” for the sake of their “rights.” The Garmillas attacked the earth for their own reason, believing that is the best for the people. Earth, responding to that “right,” defends itself from the Garmillas and sends Yamato to Iscandar for the promised machine to save the earth. What the Earthlings see as something wrong is not always wrong in the eyes of the Garmillas. What can be done when the two sides are doing what they think they’re right? Just like one of the older crew said, there might be more than one truth. That, however, should not stop us from believing of our truth, even if they are the “wrong” one for many people. If the things we do are because of that “right,” if what we are now is because of that “right,” do not stop believing it. If doubting that truth will make us lost, then don’t stop believing. It’s OK to believe in what we believe in. Unfortunately, not many people have this kind of mindset. Some prefer the method of forcing others to do what they “believe” in. This kind of mindset leads to the coup d’etat inside Yamato, lead by the Head of Security. It turned out that the Head of Security is a spy from the Second Earth project, preferring to have another Earth for migration instead of getting help from the Iscandarians, so-called aliens. What the Head of Security created is another representation of the weak side of mankind. We are so scared of the help from others that we decided to do things in our own way. If it’s helpful, sure, why not? If it leads to bloodshed, then nu-uh. Sometimes it’s not even because of fear but because of our pride! We are so proud of ourselves that we refuse to seek help from another race (in this case, the Iscandarians). Our pride also makes our vision cloudy, making us unable to see our past mistakes and making us to repeat that endless tiring cycle. But, the Second Earth supporters should not be judged too quickly. Just like what I said before, their “truth” is different from those of Yamato Project supporters. They believe that they should live in another planet, abandoning the Earth. Yes, that might sounds harsh, but that’s the solution they believe best for the Earthlings. Everything is for the sake of the Earthlings. 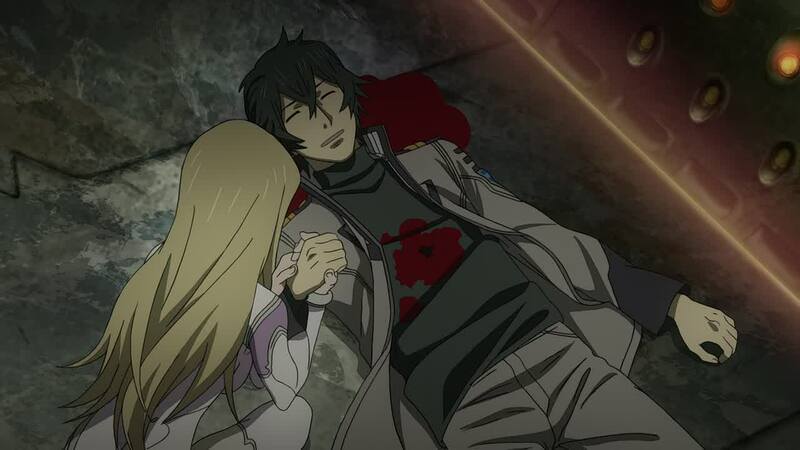 Even the Head of Security did what he did for the sake of the Earth, and this can be seen when he begged Yurisha to save the Earth before his death. It’s just their own way of showing their love for Earth. Unfortunately, their way did not succeeded, so the only option left is the Yamato project. 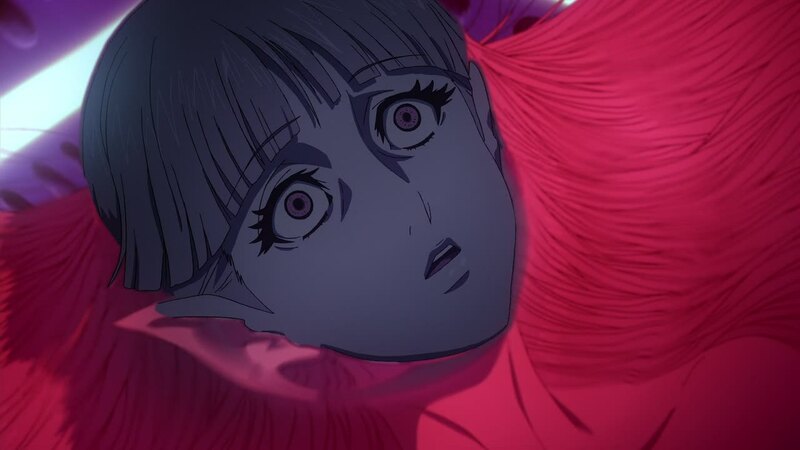 Though the Garmillas are not human, they bear many resemblance to mankind. From their face to their body – except their skin – everything is like a double of mankind. Their personalities and the internal conflict, of course, is not far off from what we mankind have. Just like mankind, there are political disagreements and personal feelings involved in their actions. Gosh, they’re like mankind with different skin! It’s ironic how those who attacked mankind are physically and mentally the same with mankind. 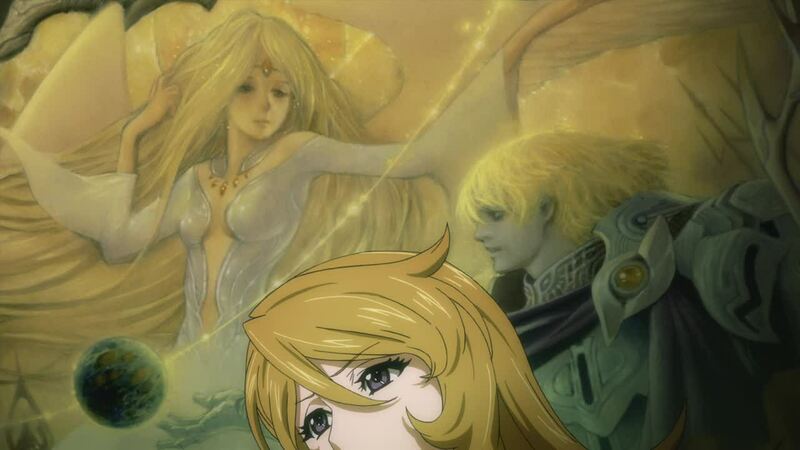 I wonder if the Garmillas and Earthlings have the same ancestor in this anime? Anyway, what the mankind called as “aliens” turned out to be not-so alien after all, since every inch of the Garmillas is just like those of the Earthlings’. Why do we call those who look like us aliens again? Oh right, because they live in another planet. But except that, that’s it. The only difference the Garmillas have with mankind is probably the god they worship, and in this case, the Iscandarians. 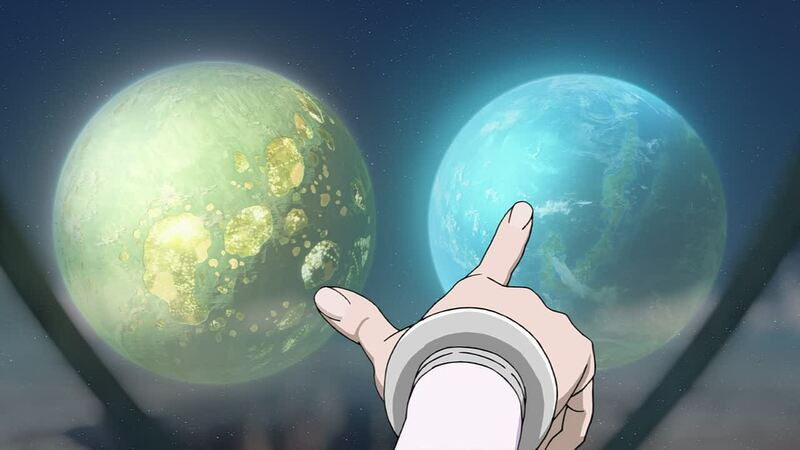 How surprised I was when I found out that Garmilla and Iscandar are actually twin planets! Like damn, I didn’t see that coming at all. 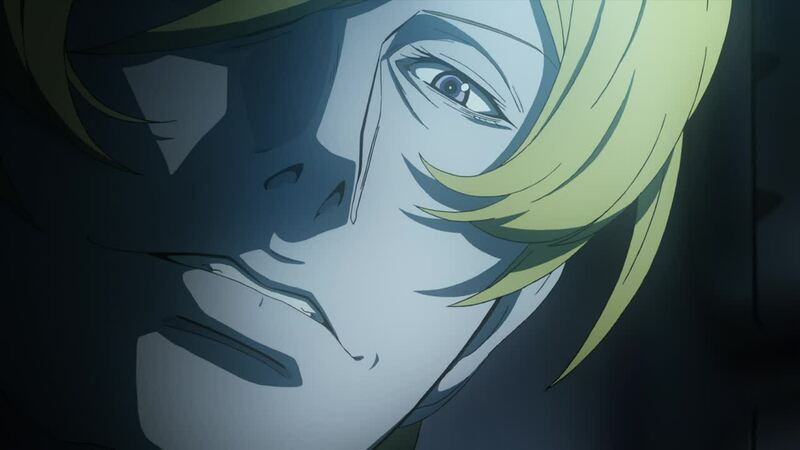 I had a hunch that they’ll have too see Dessler though, sooner and later. Anyway, back to Garmilla and Iscandar. It’s a wonder why the Garmillas worship the Iscandarians. Is it because of the pure image the Iscandarians have, or is it because of their technology that is much more powerful than the Garmillas’? My guess is that the Garmillas want to be like the Iscandarians – pure but powerful, beautiful but charismatic. Alas, they can never be like their “sister,” so they have no other option than worshipping the beautiful fairies. It seems that the Garmillas’ dream to be united with the Iscandarians will come true though. At least, that is what I see from the tactic of the Garmilla Leader. He kidnapped Mori and made her pose as Yurisha. It was during the “Yurisha conference” that he announced his plan of the unification between Iscandar and Garmilla. The question is, why is he doing this? Why would he go through such length just to unite Iscandar and Garmilla? Is something wrong with Garmilla’s planet? I can only guess so when hints about Dessler wanting to move the capital surfaces. His bird pet died for some unknown reason too. Anyway, the mystery shrouding Dessler is getting more and more complex, and I hope we can get the revelation soon. Not much is revealed about the Iscandarians, but I can guess from Yurisha and the glimpse of Sasha. One, they are beautiful like hell. Their skins are pure white, matching with their beautiful long blond hairs. No wonder Mori is always mistaken as an Iscandarian. Though whether she is or not, we don’t know. Second, they are intelligent. At least, that was the impression I got when Yurisha asked XO Sanada about the Wave Motion Gun. Not even the smartest Sanada can think like Yurisha. The best of all, however, is their belief in life – they want to save as many planet as possible. With those traits, no wonder Iscandarian is worshipped by the Garmillas. But really? 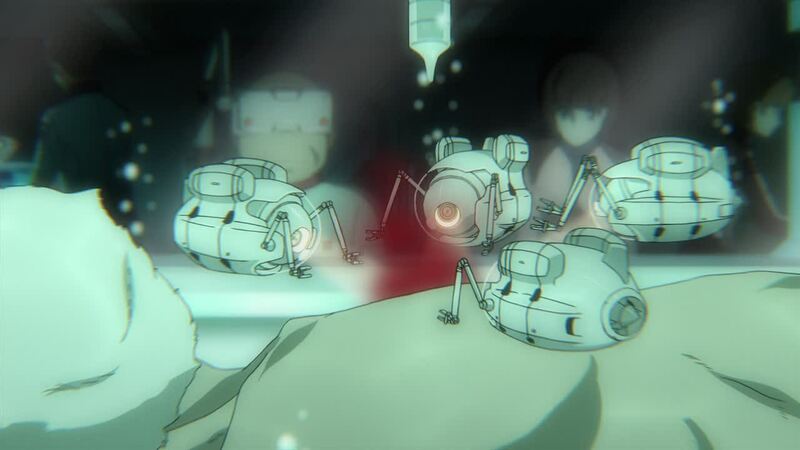 The Yamato went through lots of trials just to get to Iscandar, with some of the hardships they went through being obvious that they are actually tests from Sasha. Why would they do that? Why would they test a race they want to save? To see whether they are worth it or not? I never knew that being saved needs some kind of test or something related to that. 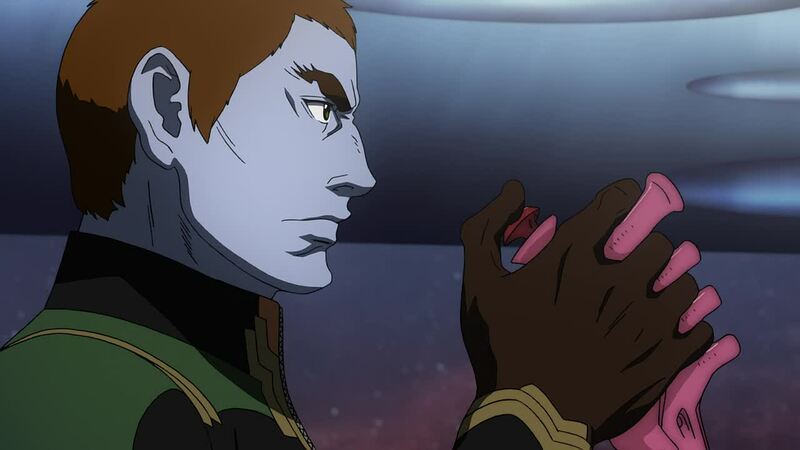 Though Iscandar is cool for offering their help to Earth, the tests they give the crew is… Not cool. Sure, sure, a fruit is more tasty when one works hard for it, but still… I can’t help but feeling disappointed from such attitude. At least, that’s what they are showing right now. I hope the last four episodes can shed some light about Sadha’s – Iscadar’s – true intention. And I hope they are something good. Wow, so many things happened in these last episodes. 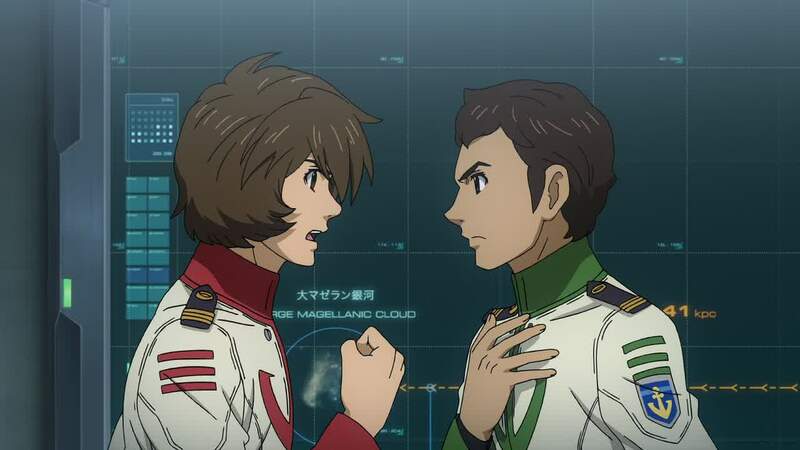 From internal conflict to face-to-face fight when the Garmillas, Yamato went through all of them. Well, it’s eleven episodes after all, teheh *fidget fidget*. Anyhow, just like the usual, I enjoyed these last eleven episodes greatly. The flow of the story is just perfect, as I don’t feel anything lacking from the story and its progress. It is nice seeing how the story can slip some personal stories about the characters here and there in the main plot, making the audience feels closer to the characters. The story makes sure that each character (except the mooks that always end up dead) has their important moments, making their strongest and most interesting trait sticks out. …. All of them except Kodai’s and Mori’s. Well, individually, both of them grew a lot. Unfortunately, even though they are the main pairing of this anime, I don’t feel the chemistry between the two at all. Not completely, but I think that they’re not close enough to be intimate with each other. Probably the little things they do together make them closer, but still… In a way, they are not enough to make me ship them like mad. 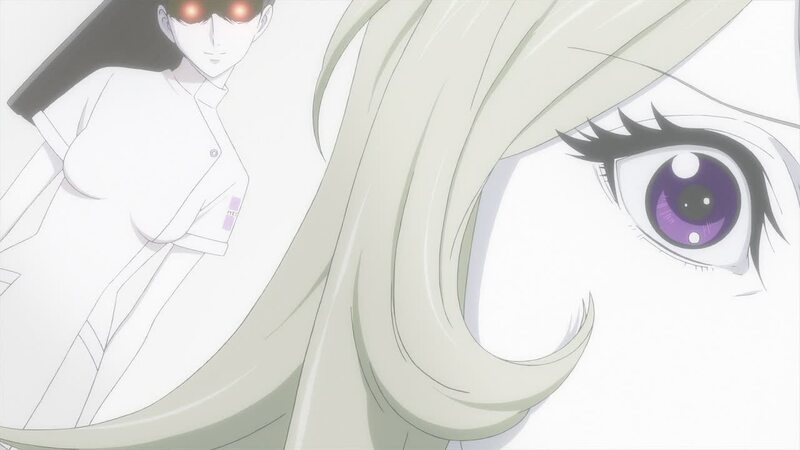 Anyhow, half of the series was able to make the cre develops into special individuals that are more than just “mere characters” now, and I think that’s great. Then the other half is there. No, no, I don’t hate it at all. I was just taken aback with the information dump they gave us at the later half of the series. I was shocked so many times with the revelations they gae the audience in the last few episodes. Thanks to those information, I can see the Garmillas more than the bad guys who are attacking the earth. There are two “truths” after all, right? Teheh. 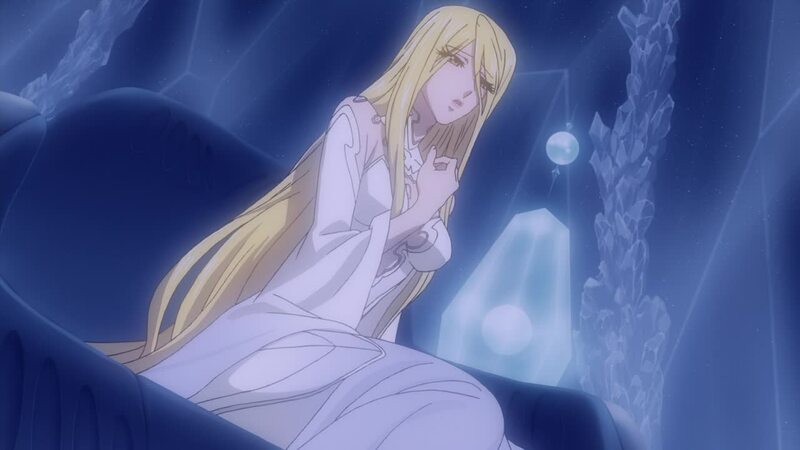 I can also feel so many elements in the anime, with the worship of the Iscandarians as the most outstanding element. 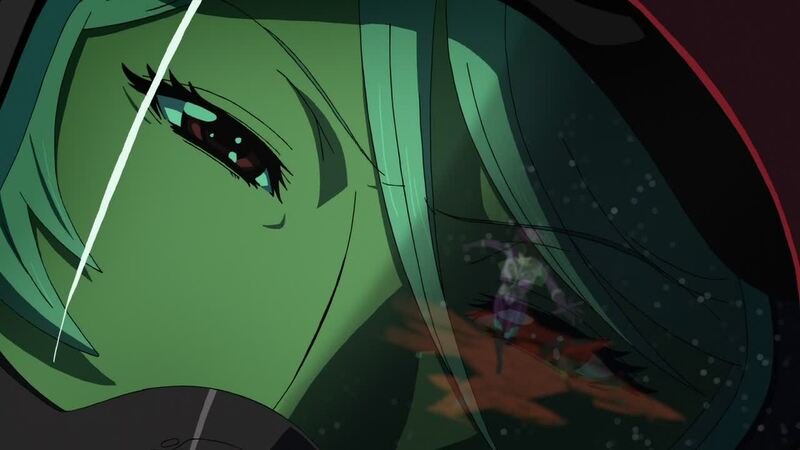 I can feel the strong feminism in that aspect of Yamato 2199. Too bad I can’t talk a lot about those elements because I skipped many episodes in one go *sigh*. Anyhow, I definitely had fun with all the mind-blowing revelations I got in the last few episodes, and I can’t wait to see more now. 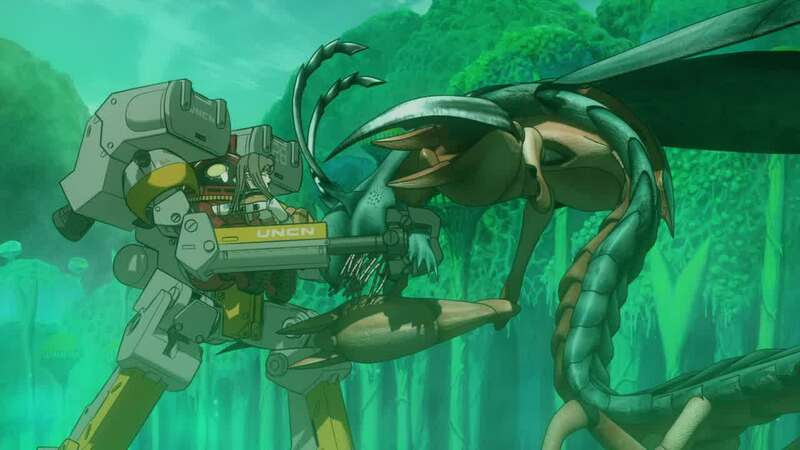 Preview: Garmilla finally attacks Yamato head-on. 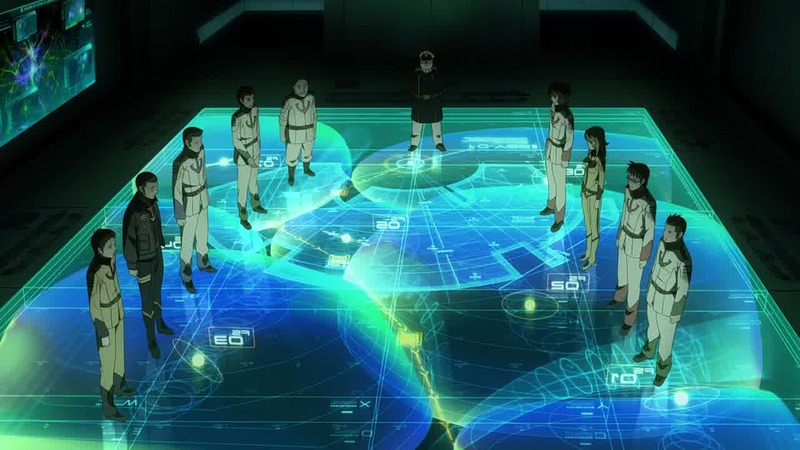 Will Yamato and its crew arrive safely in Iscandar? (Of course). The new episode is airing today anyway. Episode 23 came out Sunday. Haven’t found any sub of episode 23 yet either, but am about to watch episode 24 on MBS TV (online) live anyway. Obsessions are like that I suppose. All episodes have been seen on TV now. BD release on the 25th. There has been an announcement for a new film next year. 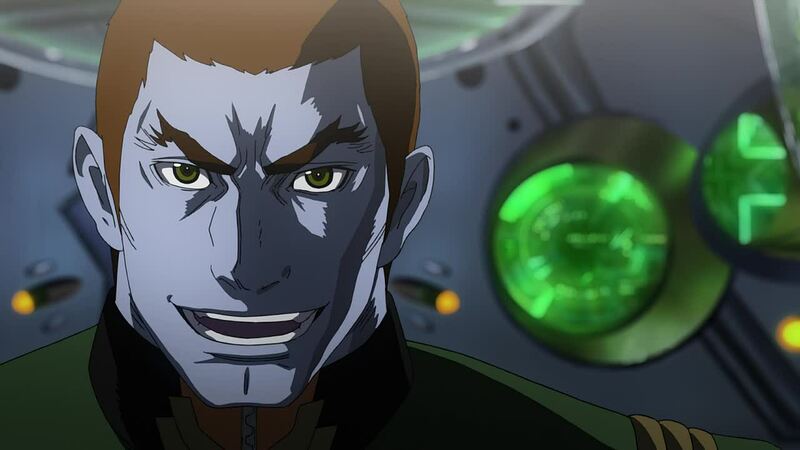 News is that this series will be sold in the Americans in 2014 as Star Blazers 2199. About half the price of the Japanese releases. Subtitled in English and Spanish. The evidence is conclusive. Gatlantis is coming. First a condensed film for the 2199 plot in October, then “Ark to the Stars” in December. In 2199, Yamato was departing from the Large Magellanic Cloud. 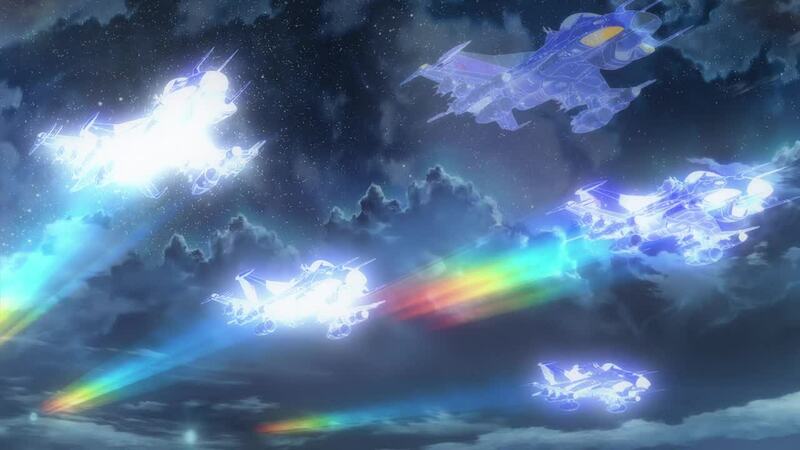 At the edge of the Large Magellanic Cloud, Yamato encountered a mysterious fleet that suddenly appeared. They were called “Gatlantis” and demanded that Yamato be handed over. Yamato was in a hurry to return to Earth and avoid combat. But an unknown entity appeared to block their path.